We've made it to part 4. 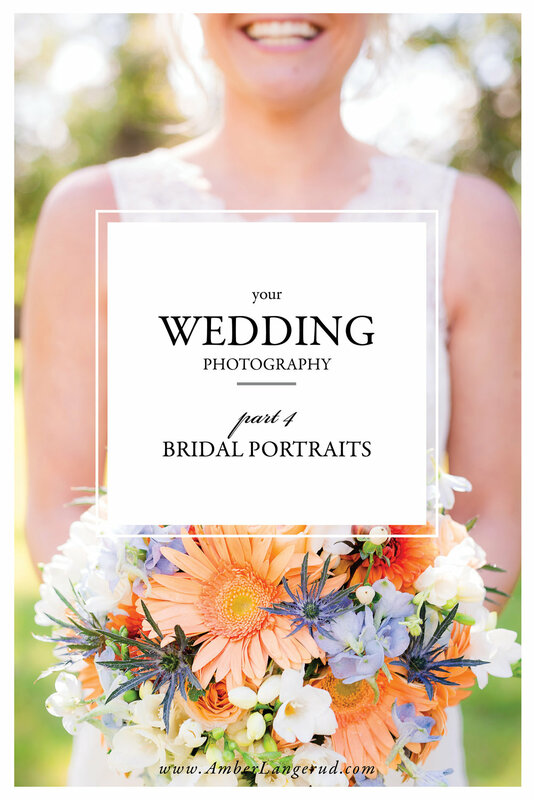 Today we are chatting about Bridal Portraits!! Those special portraits of just the bride on her wedding day. The ones that capture the beautiful joy and emotion of a woman about to be married. I'll try and keep this part brief, but just because it doesn't take much time out of your day doesn't mean it isn't important! Bridal portraits are a very special part of the wedding day (at least in terms of photography). If you have a lovely getting ready room with beautiful windows we will take these portraits right before heading out for the first look. If not, we'll take these sometime during portrait time and sometimes both if it works for the schedule. All it is, is 10-15 minutes of just us together where I pose you beautifully to best show off your beautiful figure, dress, bouquet and possibly veil so you can always remember how stunning you looked on your wedding day and how happy and excited you were to marry the love of your life. Your wedding day is probably one of the most important days of your life and I want you to remember it fully and beautifully. Check out the previous parts of this series! Are you planning a wedding and looking for a wedding photographer? Thinking I might be the one for you, but not quite sure? Drop me a line, I would be happy to chat with you about your wedding day and address any questions or concerns you may have.